Thank you, Chris and friends, for submitting today's vicious masterpiece. Will Snoopy make it out alive? Check back next Friday. 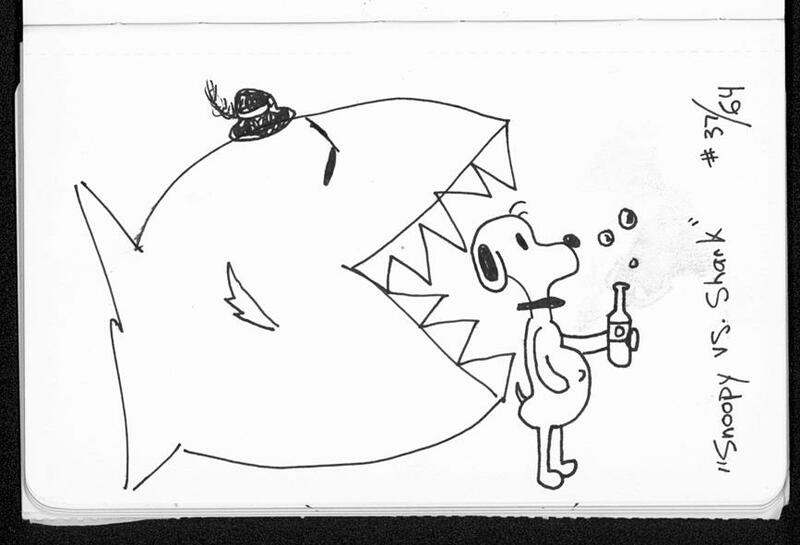 Snoopy vs. Shark: When Snoopy drinks mead, the shark comes to feed.